International Journal of Fermented Foods aims to publish original articles which contain results of research in food science related to fermentation as a method of food processing and preservation. Fermentation is a process of food preservation with great potential. It is an environment friendly process, consumes less energy and produces less waste. It is easy to manage both under simple house hold conditions and in an industrial scale. It could be applied to a wide variety of raw materials to produce a variety of different finished food products. It has the advantage of being generally regarded as safe (GRAS) and offers immense opportunities for production of novel products which can be classified as "organic foods", "natural foods", "health foods", "convenience foods", "ethnic foods" "neutraceuticals" ,"functional foods" and not to forget "foods for clinical nutrition". Cereals, pulses, root crops, vegetables, fruits, meat and fish are preserved by one or other method of fermentation in some part of the world. 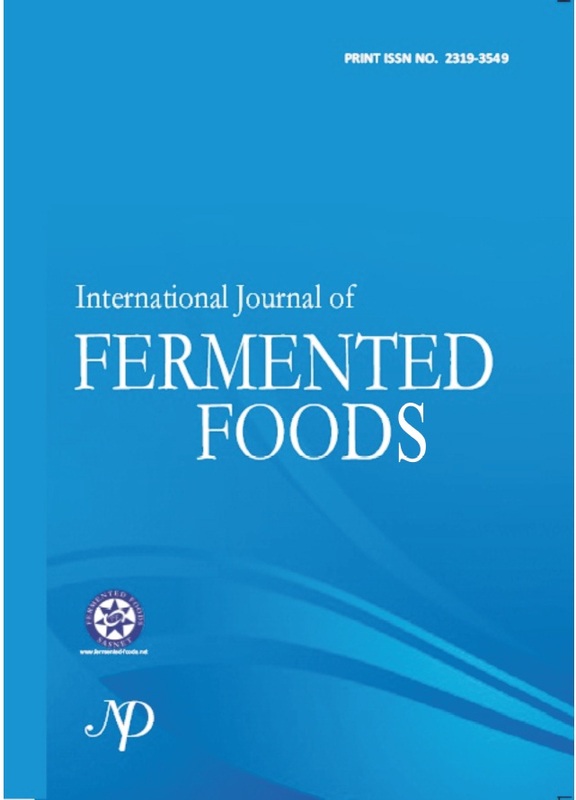 The International Journal of Fermented Foods (IJFF) will publish high-quality research articles that meet the general criteria of significance and academic excellence, written in English, in all areas of the subject Fermented Foods. The journal will be published half yearly to start with and then converted to quarterly in two years. It will also accommodate review articles on any area of fermented foods viz., technology, microbiology, biochemistry, nutrition, health, marketing, etc. It will also publish work on probiotics, prebiotics, synbiotics, neutraceuticals and related clinical studies.